Grew Up… in Beach City. In fact, he’s still growing up in Beach City. Steven is still a kid, and he hasn’t experienced much outside his hometown. On the other hand, what he has experienced in his hometown is much wilder than what most world travelers have seen. Living… in a temple shaped like a giant woman on the shores of Beach City. He lives with the three Crystal Gems – Garnet, Amethyst, and Pearl. Even though his dad lives in town (in a van outside the car wash he owns), Steven lives with the Gems so he can train with them. Profession… Crystal Gem in training, and thus a defender of the world against attacks from monsters. Steven is only part Crystal Gem – his mother, Rose Quartz, was a gem while his father, Greg Universe, is human – but he has all the powers of a Gem. At least, he should have all the powers of a Gem. Steven still has trouble using his powers, which is why he needs training from the other Crystal Gems. Interests… eating junk food and saving the world. He also enjoys playing the ukulele, eating the leftover bits from the french fry store in town, eating donuts from the donut store in town, and watching his favorite TV show, Crying Breakfast Friends. Even though his life is unique in some ways, in other ways Steven is still very much a normal human kid and loves to hang out with his friends. Relationship Status… single. He’s a kid! He does have a little bit of a crush on his friend Connie, but they’re best friends first and foremost. Challenge…. learning to control the powers in his gem so that he can help the Crystal Gems fight monsters and protect his hometown. Personality… happy-go-lucky, excitable, and friendly. Steven is hard to bring down. He can be immature at times and doesn’t always understand when a situation is serious, but a lot of that is due to the fact that he’s so young. He loves to cheer people up and is fun to be around. 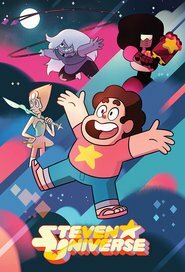 Steven Universe's popularity ranking on CharacTour is #137 out of 5,000+ characters. See our top-ranked characters and read their profiles.